Biking and other sports are inherently kind of dangerous, but with proper safety equipment and an intelligent plan you can mitigate the risks. 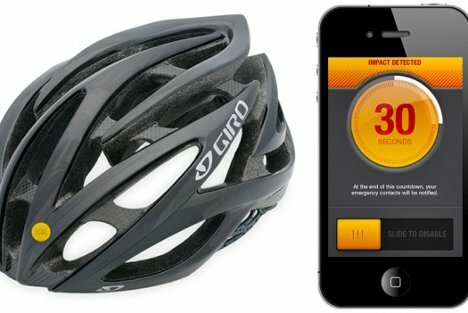 The ICEdot (“ICE” for In Case of Emergency) is a small sticker that affixes to your helmet, and if you fall or crash it uses your Bluetooth-connected smartphone to alert your emergency contact about the accident. The sensor can tell how severe the fall was and even communicate your coordinates to the person you choose as your emergency contact. You don’t have to worry about the sticker calling up your mom every time you drop your helmet, however. The sensor works on a time delay, so if you accidentally smash it on the ground when your head isn’t in it you’ll have time to cancel the emergency call. 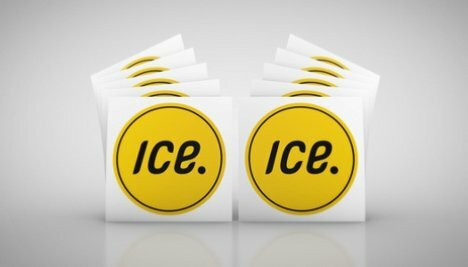 According to the CEO of ICEdot, the simple-looking sticker can help dramatically reduce the number of serious head injuries left ignored or untreated by athletes every year by quantifying exactly how serious an impact was. See more in Cybernetics or under Technology. September, 2012.